The nations of Europe involved themselves in nearly continuous warfare during the eighteenth century. Their colonies in the West Indies were not immune to these conflicts. Like all colonial powers, Denmark worried about the loyalty of its colonists, especially those who had immigrated from other nations. 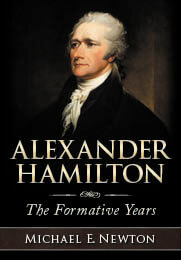 Accordingly, immigrants wishing to establish residence on St. Croix were compelled “to swear their allegiance to the Danish monarch in accordance with a directive from the Directors of the West India and Guinea Company.” Although no comprehensive catalog of oaths of allegiance from St. Croix has been found, a couple of lists have been located and they include a few persons of interest to the Alexander Hamilton story. 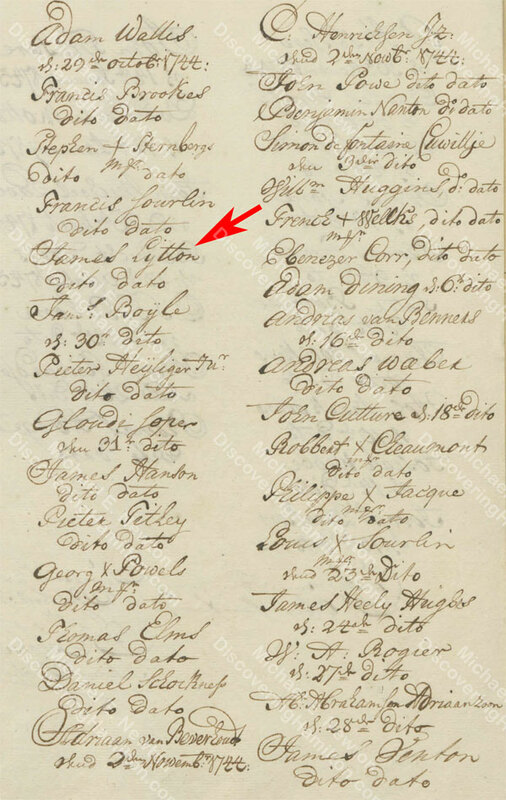 According to this list, Edward Evans swore allegiance to the Danish king and the Company on June 15, 1739, while James Lytton gave his oath of allegiance on October 29, 1744. 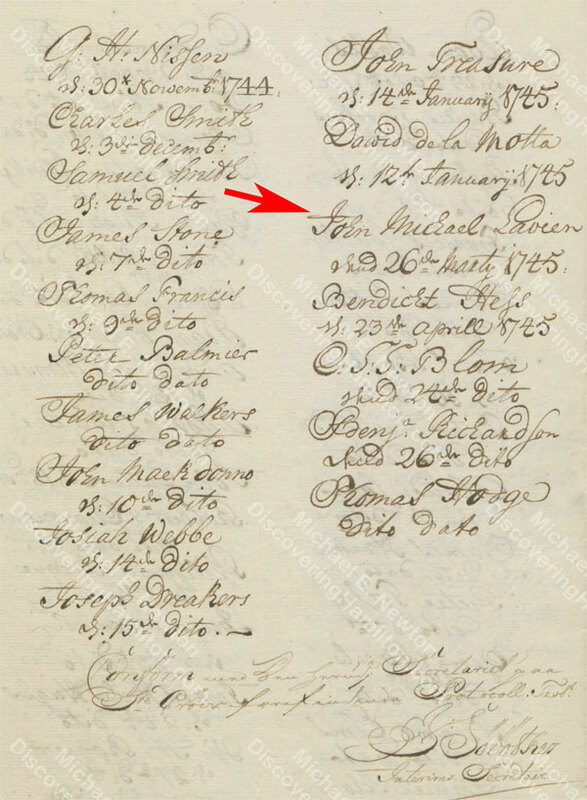 It will be recalled that James Lytton and his wife Ann (née Faucett), the sister of Rachel Faucett and thereby the aunt of Alexander Hamilton, moved from Nevis to St. Croix in 1738. 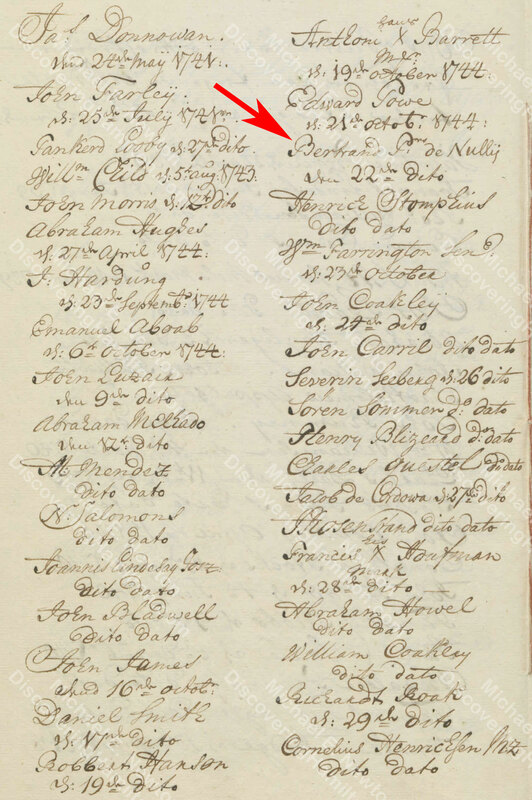 At the same time, Edward Evans and his wife Margaret (née Uppington), who apparently was a relative of Mary Uppington, mother of Rachel Faucett and grandmother of Alexander Hamilton, also moved from Nevis to St. Croix. 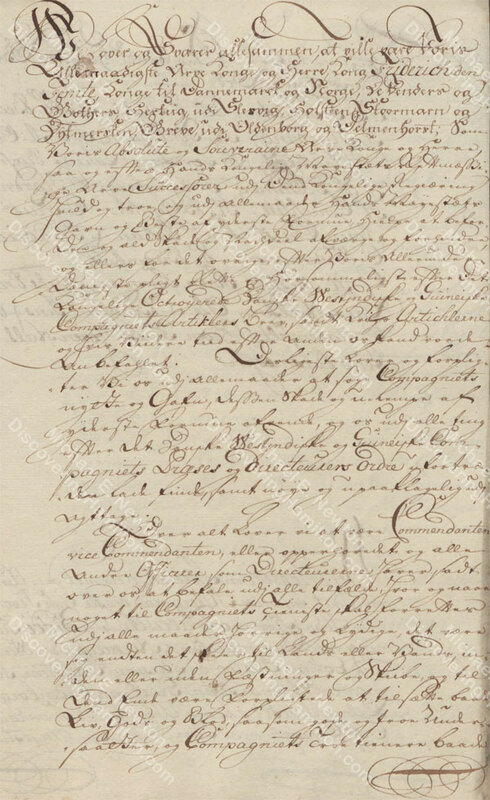 Edward Evans was a mason who may have offered his services to the Danish West India Company, which acted as the government of St. Croix. If so, he may have been required to swear allegiance to be hired for such jobs, especially if he helped build or repair the island’s fortifications. Perhaps James Lytton continued to own land on Nevis, St. Kitts, or elsewhere and continued to consider himself a British citizen despite taking up residence on St. Croix. At some point, he may have sold his land on the British islands, or his St. Croix estate and slaves grew as a share of his total holdings, and thus his economic center shifted to St. Croix. 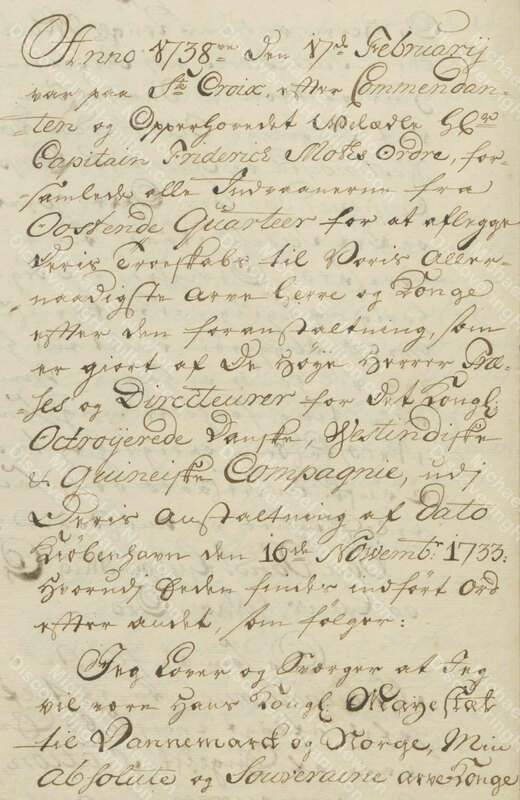 Also of note, Bertrand Pieter De Nully, later Christiansted’s town captain and the father-in-law of Nicholas Cruger, swore allegiance on October 22, 1744. Also appearing on this list is John Michael Lavien, soon to be the husband of Rachel Faucett. 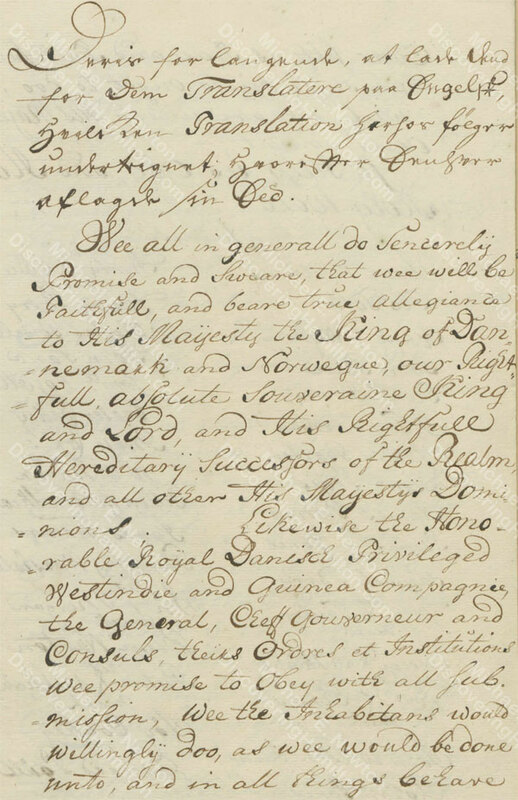 Lavien established residence on St. Croix by May 1744 and swore allegiance on March 26, 1745. 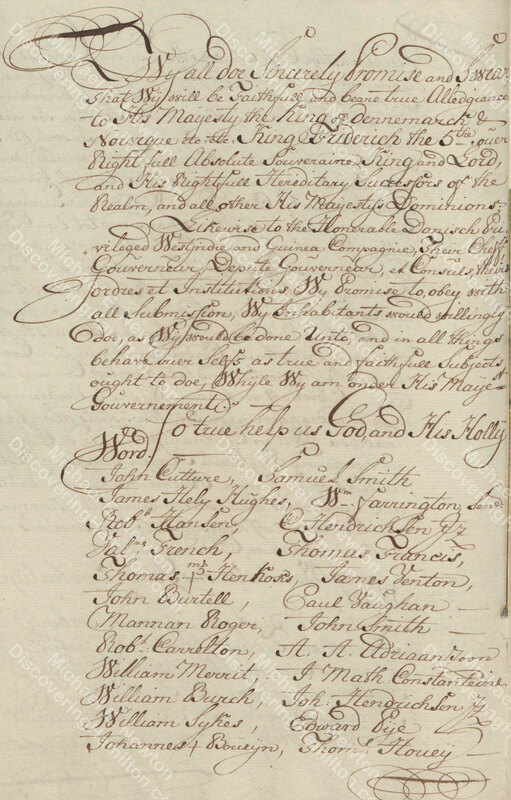 A second list of oaths of allegiance (with virtually the same wording as the 1745 oath) was recorded in 1746. 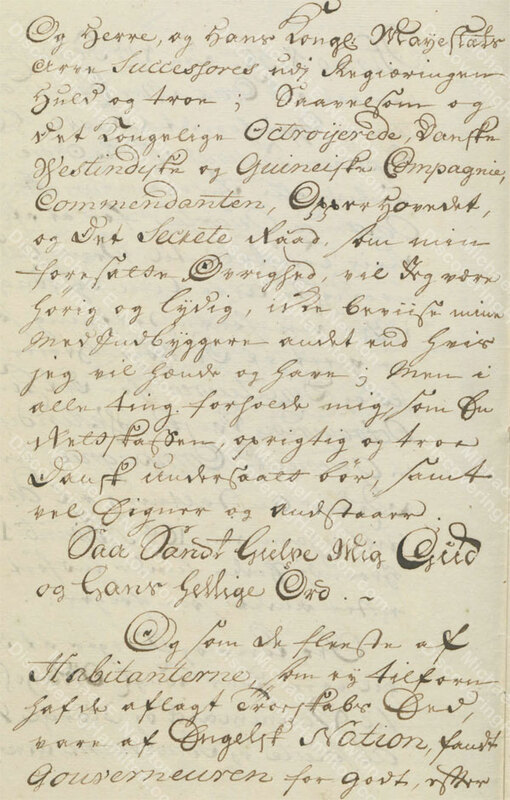 In this record, the residents of St. Croix swore their oaths of allegiance in one of three different languages: Danish, Dutch, and English. Again, a number of people involved in the Hamilton story appear in this list. 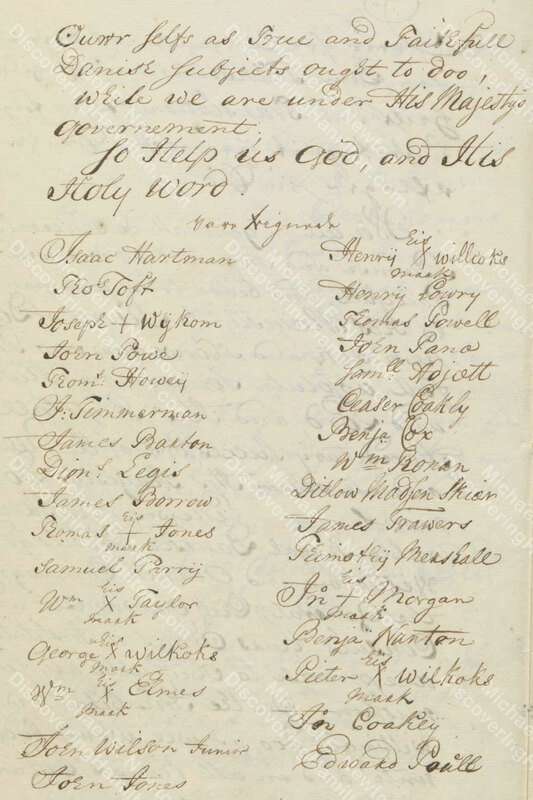 Bertrand Pieter De Nully appears among those who swore their oaths of allegiance in Dutch. James Lytton, John M. Lavien, William Hendrie, Alexander Moir, and Isaac Evans are among those who swore allegiance in English. 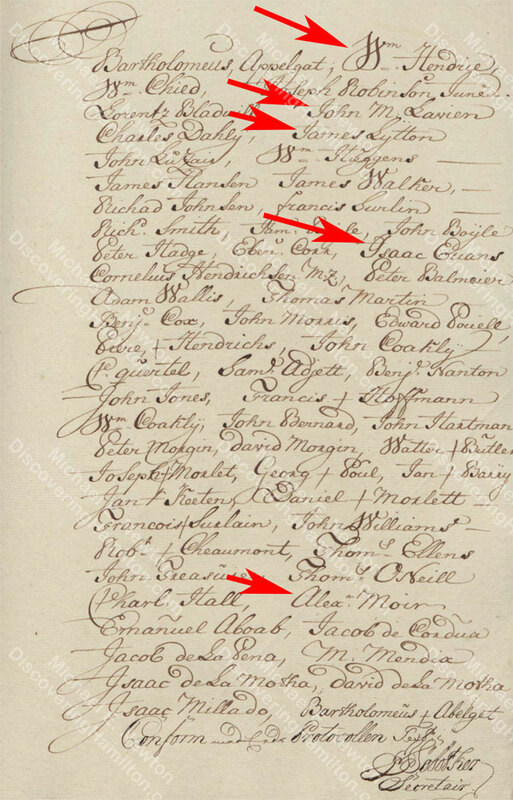 John Michael Lavien is listed among those who swore allegiance in English rather than Dutch or Danish. Some had previously argued that Lavien was Danish. 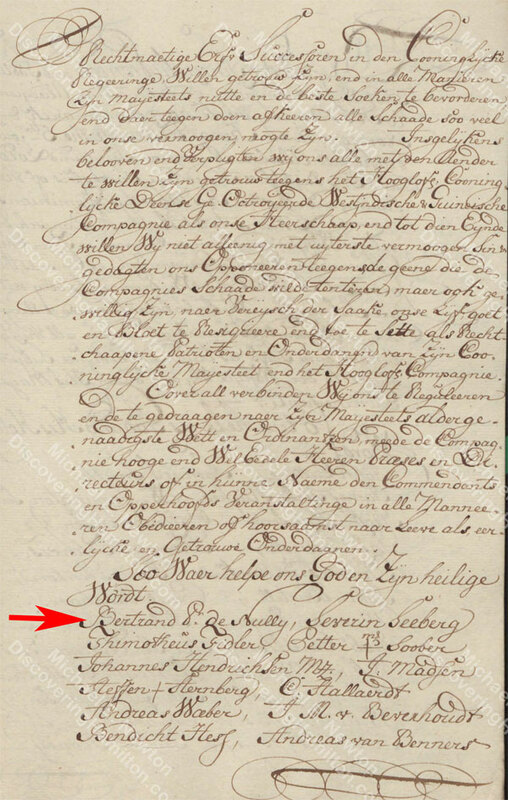 By swearing his oath in English rather than Danish, clearly Lavien was not Danish. Most historians now believe that he had German origins. This record clearly shows that he preferred English to Danish or Dutch. It will be recalled that Lavien had lived on the British island of Nevis before coming to St. Croix. So regardless where he originated, it is clear that he was not Danish and that by this time he had become proficient in English. 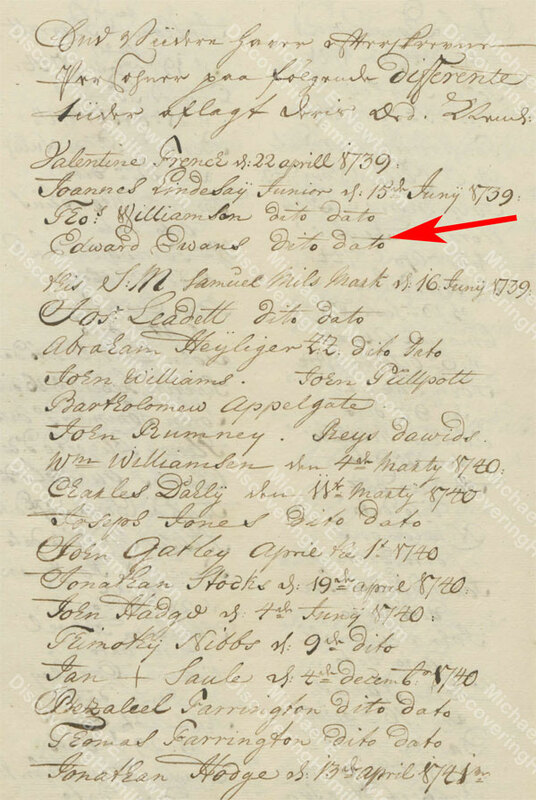 Edward Evans passed away in 1744, but his son Isaac Evans by this time had sworn allegiance to the Danish government. Thus, these oaths of allegiance are not just interesting as historical footnotes, but they also tell us something about those who swore them. 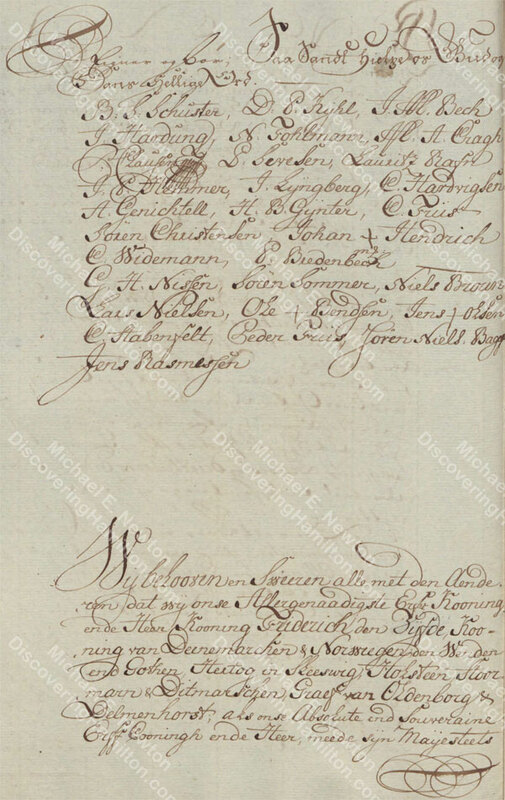 Thank you Prof. Daniel Hopkins for translating the Danish sections of these documents. © Posted on December 18, 2018, by Michael E. Newton. Please cite this blog post when writing about these new discoveries.